The weeks have passed by quickly and the cast of Boy Band is getting closer and closer to a final five. 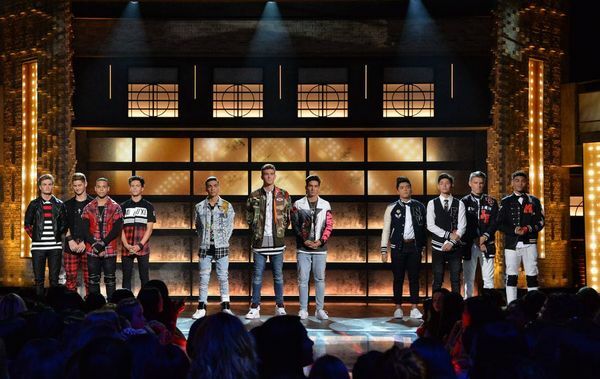 Last night’s double elimination narrowed the group of boys competing for a final spot from 11 to 9 and emotions ran high among the architects as they gave each of the singers the constructive criticism they needed to hear to further themselves in the competition. Ultimately, Andrew Bloom and Jay Gilbert, the youngest competitor known as J-Hype, were eliminated and Devin Hayes, who has long been a front runner, was saved with America’s vote. While they may no long be competing for a spot in a boyband, it’s no secret that these boys (and all who have been eliminated) have enough talent to definitely have a future in the music industry in some capacity. 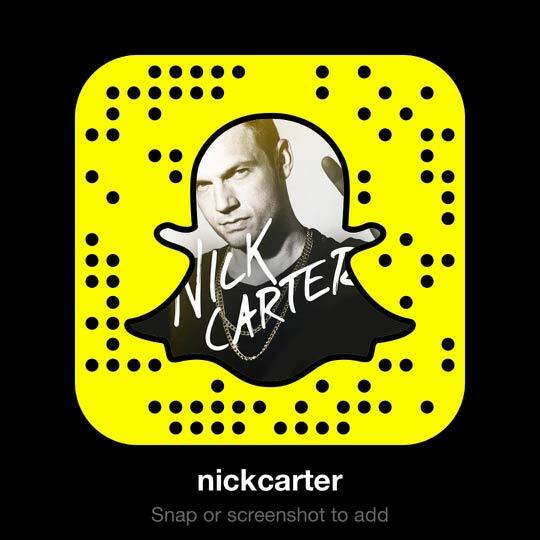 Nick Carter also shares this sentiment. Each of the past 7 weeks has been tough on the architects as the young artists that they fought for and chose to be in the top 15 positions are being sent home one by one. After each performance, Nick, along with Timbaland and Emma Bunton, have given each singer the best advice that they can give, coming from years of experience and wanting each of them to be successful, in or out of a boyband. The decisions have not come easy to place any of them in the bottom each week and you can see the very real emotions on their faces as America’s votes send someone (or two someones) home. This week, Nick went as far to tweet a young fan after the show, assuring her and reiterating what he had previously stated during the show, that the eliminated J-Hype did a “great job” and that he has plenty of time to grow. We hope to see him using those beatbox skills in a large capacity soon! Friday morning, with the Boy Band final nine obviously still on his mind, Nick tweeted each of the boys (Marcus, Brady, Chance, Drew, Michael, Mikey, Devin, Sergio and Jaden) words of encouragement and positivity as they enter the last week before semifinals. Read the tweets below. After a rigorous schedule of learning new songs and choreography with different members of different groups each week, we're sure that the Boy Band members appreciated the kind words from a man who is no stranger to a busy schedule himself. As the competition rolls on, we can't wait to see what the future holds for all of these talented young men. As for the final five? Well, we're hoping to see them open for the Backstreet Boys, of course. They already have a pretty solid fan in Nick Carter. I have been a huge fan of bsb and always will. They have helped me threw a lot. Threw there live experiences and there music. Nick is doing wonderful helping they guys on boyband and showing his feelings as hes doing it. I have my 5 i hope get it but i am one person so we will see. Keep up the great work nick. I've been noticing a lot of the younger fans of the show have been displeased with Nick's judging, especially after JHype was eliminated. I find it a tad laughable that they don't trust the judgement of a man that's been in a boyband himself for the past, oh, 25 YEARS!!! I thought it was sweet of Nick to take time out of his really busy schedule to tweet the boys! I can't wait to see the outcome! You're doing an amazing job, Nick!